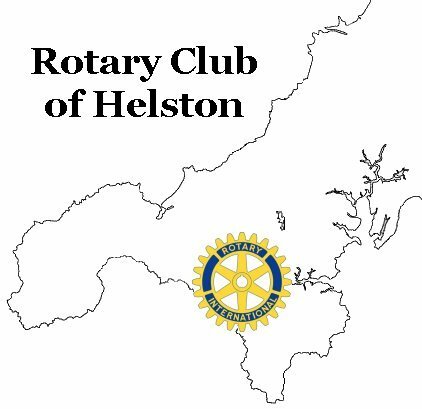 Rotary Club of Helston - Welcome! 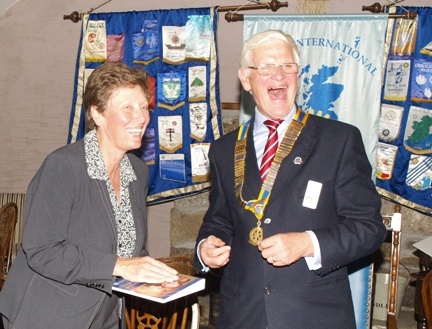 Our latest recruit is Linda Dunford, seen here being inducted into the club with our President, John Notley. Linda is the first lady member in almost 60 years of the Club. Linda is a partner in the accountancy firm of Kitchen and Brown based in Helston. She was born in Middlesex and moved to Cornwall as a young lass and attended Helston School. Later she married Andrew and moved to St Keverne. We are delighted to welcome Linda, as she is an ideal Rotarian and will bring a great deal to the Club. Initially she will work in our Youth Services Commitee working on the many Rotary School Competitions. equip the Centre for opening in 2016.
wish this donation to be Gift Aided. from the clubï¿½s annual Christmas Carol concert at Helston Methodist Chapel in December. presentation on Thursday March 12th to receive cheques from club president Benny Vleminckx. of the PTA at the school, and her son Lewis, who is a pupil at Curnow School. THE WINNERS OF HELSTON ROTARY'S GRAND RAFFLE !! The purpose of this website is to inform you about our club and of course Rotary in general. are real people, trying our hardest to do a bit of good, locally, nationally and internationally. browsing through our website you will get some idea of what being a Rotarian is all about. of Lannion, many of whom have become close family friends. 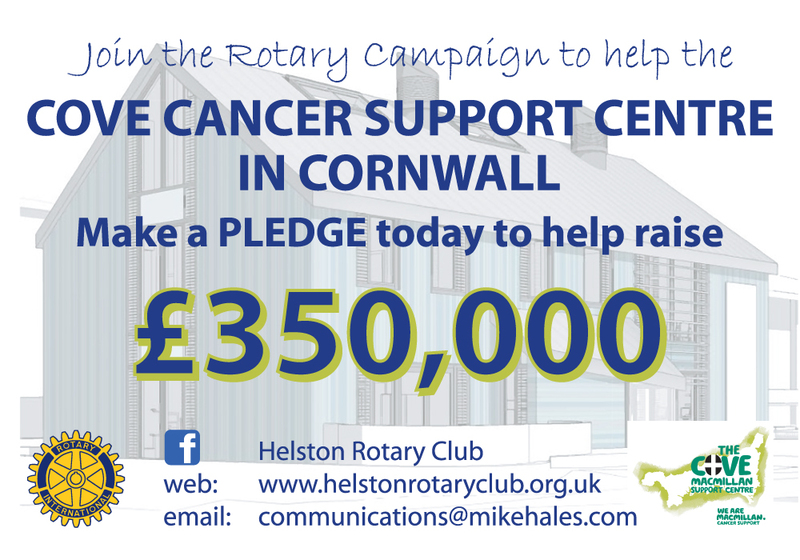 Why join Helston Rotary Club? granite uplands of Dartmoor - all fall within the Rotary district. activities aimed at fund raising or using our manpower and talents to help the local community. Whatever the event, we aim to enjoy ourselves and in many activities, we are joined by our partners. Why do we want new members? experience pressures of business etc. Who is able to join Rotary? modern approach to some of our activities. Be of good character and ethical business, professional, and employment reputation.. Hold a position of responsibility within a recognised business or profession. Have a place of business/employment or residence in or near to Helston. embraces the full range of opinions and beliefs. 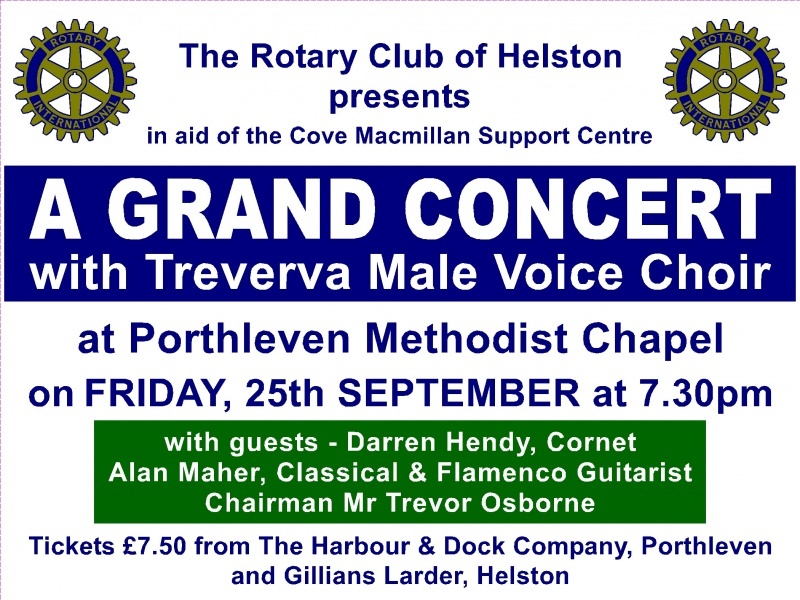 The Rotary Club of Helston is no exception. one or two who might be described as mild eccentrics, perhaps. Firstly, we explain that Rotary, like any worthwhile activity, is not particularly cheap. expense is justified can only be a personal decision. Secondly, will you share in our fellowship? of the appointed meetings, which can be made up by attendances at other Clubs. Thirdly, do you want to help the community? of, then Rotary is for you. If you think you would like to know more about Rotary - what do you do now? they will arrange for a member to 'look after' you with a view to prospective membership. However you arrange to visit us, you will be made welcome. the induction is merely a formal welcome! There is so much more that we could do with your help. Still interested? View our contacts page, or speak to any of our members.